Doris Emily Williams, 80, of Pensacola, FL passed away on September 14, 2018 at 2:28p.m. She was born in Pensacola, FL on April 24, 1938 to her parents Luke Townley and Avery Stegall. Doris went to J.M Tate High and after went to work in Hospitality management. She was also a dedicated Methodist. Doris grew up with the love of her life just next door, they later married and where married for 62 years. 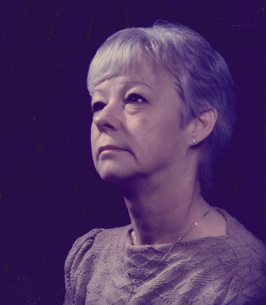 She was a loving wife and mother to her children, grandkids, and extended family. Doris was everyone’s mom. Doris Williams is preceded in death by her loving husband of 62 years John Williams; mother and father, Luke and Avery Townley; and sister, Janette Dannelly. She is survived by her loving family, Cindy Burkette (Mike Burkette); Kenneth Williams Sr., (Tara) Millard Malcom Williams, Stacey Williams, Cathy Williams; sister, Francille Steele; Brother-in-law, Celton Williams, sister-in-law, Nancy Williams; sister-in-law, Mary Williams; 17 grandchildren, and 26 great grandchildren, And 2 great-great grandchildren. Also many nieces and nephews. 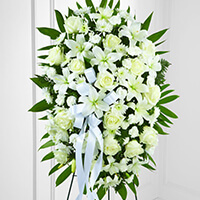 Services will be at Trahan Family Funeral Home Pensacola Chapel Saturday, September 22, 2018 with a visitation at 1:30 p.m. and service at 2:30 p.m.
To send flowers to the family of Doris Emily Williams, please visit our Heartfelt Sympathies Store. Our deepest sympathies to you and your family. Although you miss her, remember that she loved every moment she was able to share with you all.